With the vision to provide world-class animated content and delivery model of animation production, CG Mantra is all set to take the Indian entertainment industry to a high pedestal. 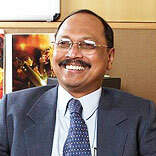 In an interview, ABRP Reddy,Founder, CG Mantra shares the inception of the company. Abha Garyali (AG): Brief us about the inception of CG Mantra? ABRP Reddy (AR): Being actively involved in private education programmes for the last 20 years; I felt there was a need to change the content and delivery model of animation education. My association with NASSCOM (National Association of Software and Services Companies) for the past two years as an advisor to NASSCOMâ€™s Animation and Gaming Forum gave me critical insights of the industryâ€™s requirement and the gap that existed in the system. The Indian entertainment industry is worth Rs 45,000 crore and is absorbing animation and VFX (Visual Effects) content much faster than ever before.Â All this prompted us to reformat the existing animation education system. In line with these realities and vision for future requirements, we created CG Mantra. AG: In what ways is CG Mantra different from other Animation/Gaming companies? What is its USP? AG: How is the concept of CG Mantra evolving in India? AG: How many centres do you presently have? What are the future target locations for your expansion? AG: What kind of training and support a franchisee would get when partnering with you? AG: What are the challenges that can be faced by the franchisees in this business? How can they overcome these challenges? AG: What kind of background is necessary for securing a franchise of your company?